Cook for the kids! Kiddie Meatballs! 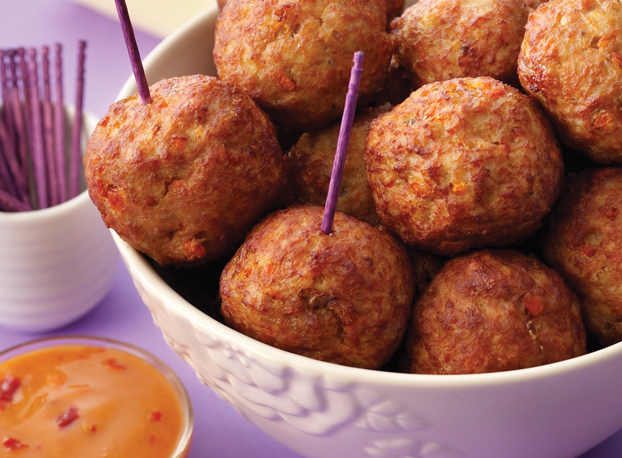 Make the meatballs more appealing to kids by using other shapes – hearts, flowers or stars. 1. In a mixing bowl, combine ground pork, onions, garlic, carrots, squash, flour, egg, Lee Kum Kee Hoisin Sauce, salt & black pepper. Mix well & refrigerate for 15-20 minutes. 2. In a pan, heat oil. Form meat mixture into 1-inch balls and fry until golden. 3. To prepare dipping sauce, whisk together mayonnaise & Hoisin Sauce. Serve with meatballs.